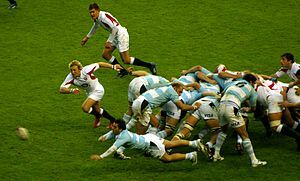 Any opinions on this scrum? There are lots of general tips available about networking and working a room. But I’m picking up (using my feminine side?) that there are a few issues relating to women networking for business with men. 1. What do we do about business cards – we usually don’t wear suit jackets that have pockets? 2. Men typically exaggerate and some talk complete bull***t! I can’t compete with that. What should I do? 3. I have no interest in sport. What should I do when that’s all they seem to want to talk about? * how many spin bowlers to play against Australia? 4. Is it ok to invite a man to lunch? Might this be misinterpreted and how can I avoid any such potential misinterpretation? These issues are of course likely to be more prevalent for women working in particularly male-orientated cultures. It feels somewhat daunting – daring to write about such a topic, as a man. So I’m putting this blog out to get some thoughts on what advice you would offer women networking for business with men, particularly addressing the four questions above. Are these challenging issues for woman? What tips can we offer? This entry was posted in Business Development and Selling, Networking and tagged elevator pitch, networking. Bookmark the permalink. 1 Response to Should Women Read the Sports Pages when Business Networking with Men?